More than 18,000 RocKwiz fans have signed a petition to rescue the music series, just a week after TV Tonight revealed the show would not be returning to SBS. The petition by devoted fan Kevin McDonald has drawn the attention of producers, hopeful it may forge a new path for the cancelled series. SBS Channel Manager Ben Nguyen said, “The decision we’ve made is that it is time to call an end to RocKwiz after a long success on SBS. But Julia Zemiro, Brian Nankervis and producers Renegade are quietly hoping the series may live on, and sell-out tours and now online petitions may lead to just that. “Thanks for all your heartfelt comments about us not making new episodes for SBS. We truly appreciate the depth of your feelings and generous support over the years. We are just as disappointed as you,” the RocKwiz Facebook page tells fans. 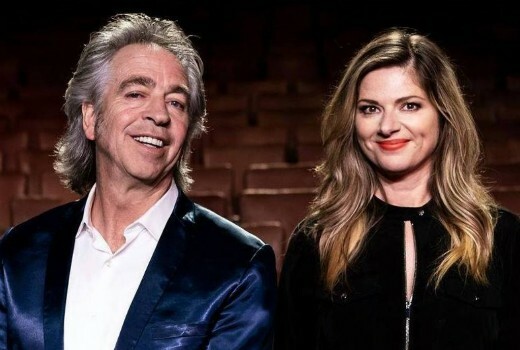 Julia Zemiro, Brian Nankervis, Dugald (The Roadie) and the legendary RocKwiz Orkestra will perform on Good Friday at Melbourne’s Hamer Hall. Could be a good fit for Ten on Fridays at 8:30pm for 10 weeks or so to not wear out Graham Norton’s welcome with too many repeats? Seems like the type of show that would pair well after The Living Room while 7 & 9 fight it out for footy viewers. I’ve never watched the show, but surely there is some money saving at SBS with The Feed moving to a weekly format, so perhaps the money freed up can be put towards a short season run of Rockwiz. SBS are far too busy making or buying stuff to show to minuscule audiences to be interested in a successful show.